Waterbury – Flor Rivera, 84, passed away January, 30 2019. He was the husband of Maria Rivera. 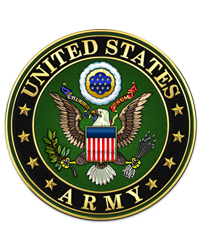 Flor served honorably in the United States Army. He is survived by his children, Flor Rivera Diaz, Gilberto Rivera Diaz, Osvaldo Rivera Diaz, and Elsie Navarro all of Puerto Rico; siblings Jose Rivera, Carmen Delia Rivera, Luz Maria Rivera, and Carmen Lydia Rivera; grandchildren, Yolanda Quinones, Jose Rivera, and Marisol Monge-Crespo; and his step-son Ramon Melendez. He was predeceased by his sister Curcita Rivera. Calling hours are Saturday, February 2, 2019 from 2:00 to 5:00 P.M. at the Bergin Funeral Home, 290 E. Main St. Waterbury. Burial will be held at the convenience of the family.